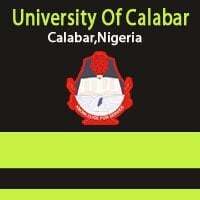 A championship expected to foster the intellectual capacity of students and prepare grounds for budding student politicians in Nigerian universities will be hosted by the University of Calabar (UNICAL), an official said. The Dean of Students Affair of UNICAL, Prof. Eyong Ubana Eyong, made the plan known during an interactive session with newsmen in Calabar on Tuesday. The First All Nigeria Universities Debating Championship billed for Oct 20 through Oct. 26 will precede the Sixth Pan-African Universities Debate championship which the university will also host from Nov. 29 to Dec. 8, Eyong said. He said the debate was an all students affair to promote the culture of debate in tertiary institutions, where the culture of listening, dialogue and acceptance of superior argument to change the course of action were encouraged. He said that the theme of the debate would be “Corruption, Insecurity and National Development’’, to reflect Nigeria’s current challenges. Also, Mr David Ejim, a student debater, said the debate would be recorded and streamed on the social media for students at home due to the current strike by members of the Academic Staff Union of Universities. Ejim, who will feature in the tournament for UNICAL Debating Club, said the institution was hoping to host to win. He said that the debate was part of the development of young people in Nigeria. He said that 11 universities out of the 102 universities in Nigeria had registered for the tournament, which would use the British Parliamentary Debate format to encourage critical thinking and discourse. In his speech, Mr Franklin David, the Chief Adjudicator for the debate, said each of the participating institutions would present two debating teams and one adjudicator at the championship. He said the idea was to help the students in critical thinking and tolerance of opinion.